As a first step, air monitoring should be conducted to identify any IDLH and/or other dangerous conditions, such as flammable or explosive atmospheres, oxygen-deficient environments, and highly toxic levels of airborne contaminants. 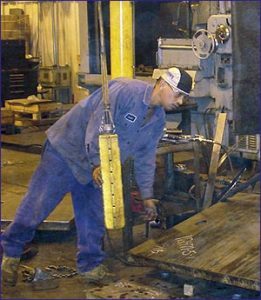 Direct-reading monitoring instruments will normally include combustible gas indicators, oxygen meters, colorimetric indicator tubes, and organic vapor monitors. Other monitoring instruments may be necessary based on the initial site characterization. When time permits, air samples should be collected for laboratory analysis. Extreme caution should be exercised in continuing a site survey when atmospheric hazards are indicated. 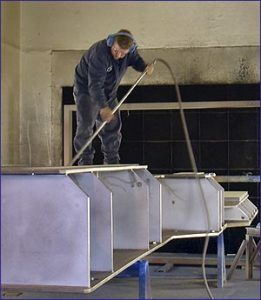 Monitoring personnel should be aware that conditions can suddenly change from non-hazardous to hazardous.Acutely hazardous concentrations of chemicals may persist in confined and low-lying spaces for long periods of time. Look for any natural or artificial barriers, such as hills, tall buildings, or tanks, behind which air might be still, allowing concentrations to build up. Examine any confined spaces such as cargo holds, mine shafts, silos, storage tanks, box cars, buildings, bulk tanks and sumps where chemical exposures capable of causing acute health effects are likely to accumulate. Low-lying areas, such as hollows and trenches are also suspect. Monitor these spaces for IDLH and other dangerous conditions. Also, consider whether the suspected contaminants are lighter or heavier than air. 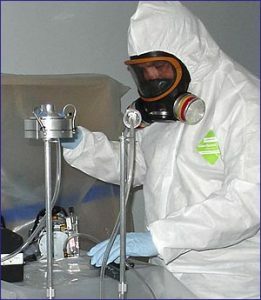 Based on the type of contaminants present, consider sampling on hilltops, under any cover or canopy where workers might work or congregate, and in trenches and low-lying areas.In open spaces, toxic materials tend to be emitted into the atmosphere, transported away from the source, and dispersed. Thus, acutely hazardous conditions are not likely to persist in open spaces for extended periods of time unless there is a very large source, such as an overturned tank-car. Open spaces are therefore generally given a lower monitoring priority.